Today, we’re reintroducing our Knot of the Week series with high-definition video, better angles and more information! Knot tying is a perishable and invaluable skill-set that can only be mastered with old fashioned repetition and it’s a skill that’s at the core of who we are as a company. 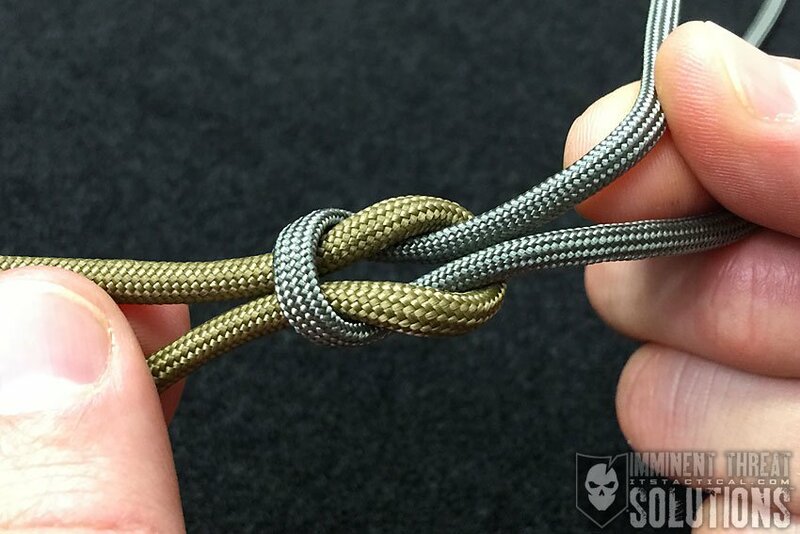 Knowing how to tie knots won’t win you any popularity contests and it certainly isn’t as glamorous as sending rounds downrange, but it can be just as important when it comes to saving a life. Yes, knots can save a life in certain circumstances you may find yourself in. Spend a little time untying knots as well, because what’s the point of tying them if you can’t untie them? 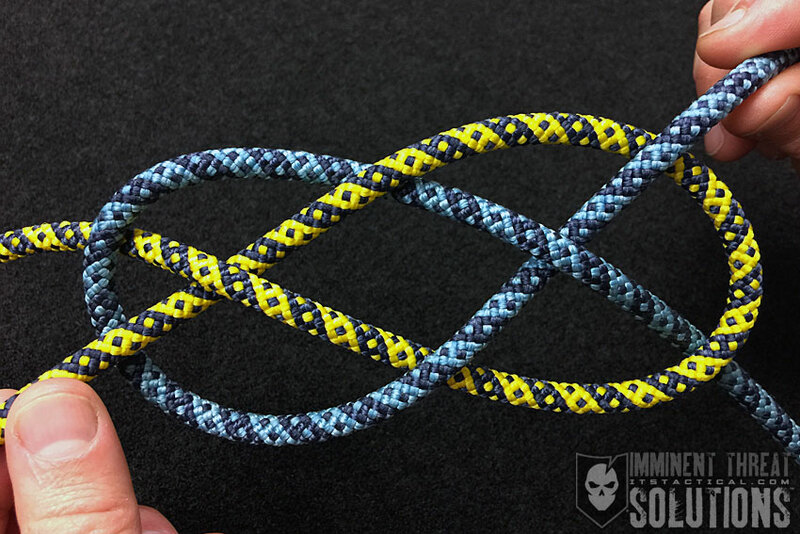 In the following KOTW video, I’ll be going through the Square Knot, as well as a few variations like the Granny Knot, Slipped Square Knot, Double Slipped Square Knot and the Thief Knot. What you’ll also find below is a rating system we use to help illustrate the properties of each knot. (Strength: 2/Security: 2/Stability: 1/Difficulty: 1) See below for what these ratings mean. The Square Knot, or the Reef Knot as it’s sometimes referred to, is probably the best known knot. It’s primarily used to join two lines of similar thickness, however, it’s NOT reliable for ropes of different thicknesses. 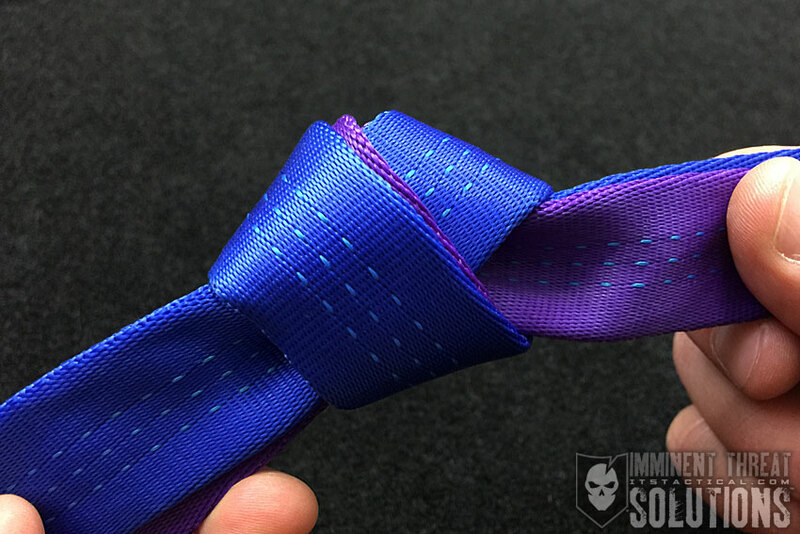 The Square Knot can slip if not under tension, so always back it up. Never use the Square Knot in a critical situation where lives are at risk!